The Swedish conductor Ola Rudner started his career as a high-profile violinist (he is a prize winner of the Paganini competition and was also the assistant of the legendary Sandor Vègh) and concertmaster of various orchestras such as the Camerata Salzburg, the Volksopera Vienna and the Vienna Symphony Orchestra. 1995 he founded the Philharmonia Wien. From 2001- 2003 he was Chief Conductor of the Tasmanian Symphony Orchestra in Australia. 2003 -2006 he was Chief Conductor of the Haydn Orchestra of Bolzano. 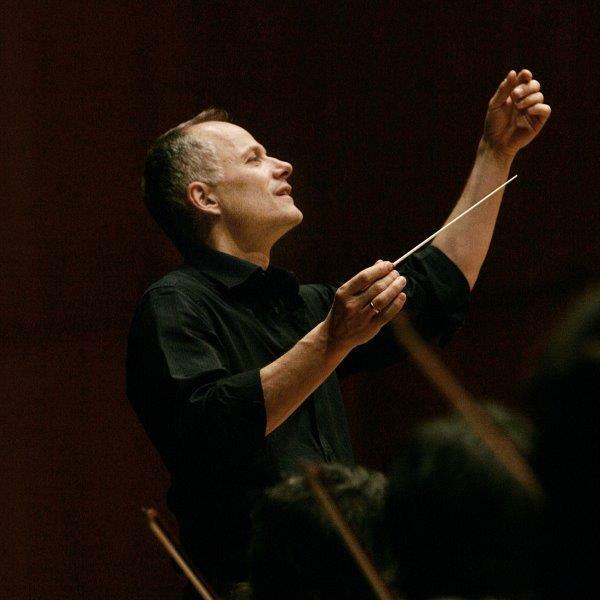 From 2008 – 2016 he was the Chief Conductor of Württembergische Philharmonie in Reutlingen. Since 1997 Ola Rudner has conducted all the major Australian orchestras: the Sydney Symphony Orchestra and the orchestras of Melbourne, Queensland, Tasmania, Adelaide and Perth . In Scandinavia he has conducted most of the major orchestras. Other orchestras include the Frankfurt Radio Symphony Orchestra, the SWR- Symphony Orchestra Stuttgart, Deutschen Kammerphilharmonie Bremen, Wiener Symphoniker, Bremen Philharmonic, Mozarteum Orchestra Salzburg, Fondazione Arena di Verona, Orchester der RAI Torino, Orchestra Sinfonica di Roma, Orchestra del Teatro la Fenice, Orchestra del Teatro V.Bellini di Catania, Orchestra Filarmonica Teatro Comunale di Bologna, Maggio Musicale Fiorentina, BBC Symphony Orchestra London, London Philharmonic Orchestra, Orchestre Philharmonique du Luxembourg, Hong Kong Philharmonic, Warsaw Philharmonic, Teatro Nacional de Sao Carlos Lissabon. In 2016-17 he had very successful cooperation with Aarhus Symphony Orchestra, Norrköping Symphony Orchestra, Arctic Philharmonic, Royal Opera Stockholm, Osaka Symphony Orchestra, Polish National Radio Orchestra Katowice, Vienna Chamber Orchestra und National Symphony Orchestra of Chile and others. Since 2010 he is regularly going to Japan with the Symphony Orchestra of the Vienna Volksoper.